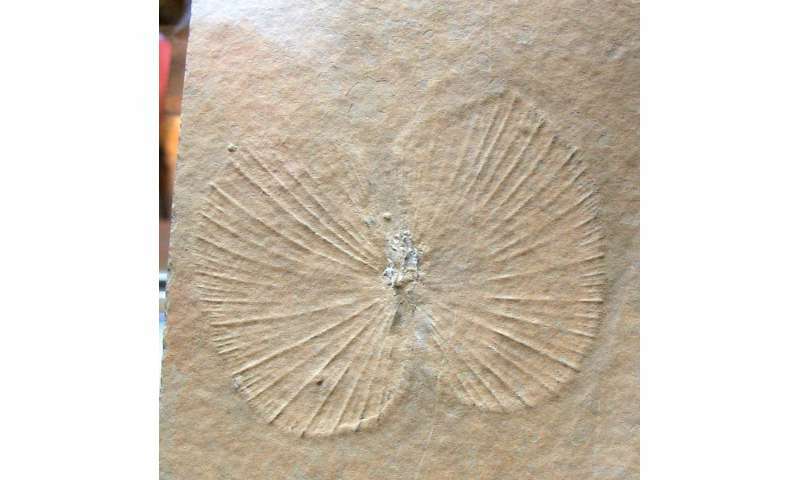 Researchers from the University of Leeds studying fossil data surrounding the Permo-Triassic (P-Tr) extinction of 252 million years (Ma) ago found that a marine ecosystem, in comparison with the taxonomic genera that comprise it, took a whole order of magnitude longer to recover after the mass extinction event that defines and separates the two geologic periods. The extinction event was responsible for killing upwards of 90% of all marine animals. These findings, presented in a recent Science Advances article, are especially sobering in light of the ongoing Anthropocene Extinction and the conclusions from the most recent IPCC report. Haijun Song and colleagues, in an article entitled "Decoupled taxonomic and ecological recoveries from the Permo-Triassic extinction," offer new insights into the circumstances surrounding what was generally held to be a tandem and stepwise recovery, in terms of taxonomic genera and their constituent marine ecosystem, in the Triassic period. The recovery of the ecosystem and its representative taxa was thought to have occurred over several million years, moving from the bottom trophic levels to the top. However, data showing diverse top-trophic-level predators in the early Triassic period seem to contradict this view, along with unexplained gaps in other lower trophic level functional groups. Working from a custom dataset drawn from the Paleobiology Database and published literature, the authors of this study sought to examine the pattern and timing of ecosystem succession in relation to the diversity levels of three groups of fauna: non-motile, motile, and nektonic animals, during the Triassic recovery. To better understand the nature of the Triassic taxonomic recovery, the researchers examined representative fossil data spanning the Late Permian (254.1 Ma) to the Late Triassic (201.3 Ma) for diversity. In collecting data from a total of 51,055 fossil occurrences (defined as the presence of a genus at a stratigraphic unit or site) they found that marine genera attained pre-extinction levels of diversity about 5 Ma after the extinction event, noting "a logistic increase in taxonomic diversity during the Triassic… and suggesting that generic diversity appears to have reached the environmental carrying capacity." In studying the ecological recovery as a whole in relation to the separate taxonomic recovery, they examined the separate fates of each of the three functional fossil groups. The non-motile group was composed of stationary animals like corals and sponges; the motile group included crustaceans, gastropods, and infaunal bivalves, among others; and the nektonic group of top-level predators included cephalopods such as octopi, conodonts (now-extinct proto-vertebrates resembling eels), bony fishes, and marine reptiles. As it turned out, nektonic animals—the group at the highest trophic level—were the first to recover from the P-Tr extinction event in terms of generic diversity, though they declined from their peak in the Middle Triassic well into the last phase of the Late Triassic. Non-motile animals, on the other hand, suffered the worst declines at the beginning of the Triassic, with their diversity decreasing from 500 to 100 genera, though they rebounded and returned to pre-extinction levels by the beginning of the Middle Triassic. The motile group also suffered heavy losses during the extinction event resulting in low diversity before rebounding at the outset of the Middle Triassic. In terms of occurrence proportion, nekton genera went from ~14% in the late Permian period to peak at 67% 2 Ma later, before declining to 11%. Non-motile genera showed an opposite trend, going from 71% to 21% to finally return to 70% at the end of the Triassic. Motile animals however, remained somewhat constant in proportion after the extinction event and throughout the Triassic. The investigators note a similar, though less pronounced trend, in relation to generic richness for the three groups; they also add that trends for composition and structure hold regardless of paleo-latitudinal region. Because the proportion of generic diversity of non-motile animals had been stable at 68% throughout much of the preceding Permian period and again approached this level in the Middle and Late Triassic period, the study authors assert that this represents the normal trophic composition of fauna—that is, as the wide base of a pyramid supporting the two higher trophic groups. This pyramid however, is inverted during the Early Triassic period, with nekton dominating the functional pyramid at 52%, and characterizes a disrupted and vulnerable ecosystem with a diminished food web. Most significantly however, is the finding that taxonomic and ecological recoveries are decoupled. Where taxonomic recovery occurred relatively quickly, as judged by a return to relatively stable global taxonomic diversity, ecosystem recovery is characterized by a much slower "gradual increase in complexity and stability." The study authors contrast the relatively quick, logistic rate of increase in generic richness that signals taxonomic recovery with a logarithmic rate of increase in the proportion of non-nektonic animals that is consistent with an ecological recovery. This ecological recovery was still ongoing after ~50 Ma, whereas taxonomic diversity recovered in about 5 Ma. These finding show that while this marine ecosystem collapsed in a bottom-to-top manner, its restoration occurred in the reverse order, from top to bottom, where a recovering ecosystem is characterized by an increase in diversity in lower-level consumers, that is, non-nektons. This upends the received stepwise hypothesis that suggests a recovery occurred from the bottom up. And finally, the researchers conclude "This study reaffirms the importance of protecting global ecosystem diversity because, once it is destroyed, restoration requires dozens of million years, much longer than human history." Re-Terraforming the Earth will much easier than terraforming any of the other planets. Plus with the new technology that will be available it will happen quickly. There is no extinction. If there were, it would take a billion years for anything to come back. It didn't. No rational person could ever make a comment like this and believe it. Why are the loons so drawn to this site? bag_boys level of stupid as a constant decline, from using radioactives to salt it's food. rderkis, in general I agree with your comment. However, I would evaluate the odds of any of us surviving the catastrophe preceding terraforming, as damn near infinitesimal. It is not the technology that matters. A lot of the physical work can be done with shovels, hoes & mattocks. It's having enough people to do the work? Feeding them, water, air, shelter, transportation, etc. Robots might be able to do some of it but that means having the people to build the factories & supply the raw materials & repair the damn machinery as it breaks down & wears out. Those people will need to be supported. People without experience think you can just stick a seed in the ground & it will automatically grow? But first you have to prep the soil to life. Soon robots will mine the raw materials, smelt the raw materials, build other robots, design and build the machines that will terraform the earth (In other words do ALL THE WORK). Energy will be from fusion and free, with the robots maintaining the equipment. YES, terraforming the earth will be quick and easy especially with quantum computers showing us how. And all this in not very far in the future. I would guess with the exponential speed of technological advancement 40 years sounds right. And yes to your next question. AI will be ether the savior or executioner of mankind. Eikka, you are offering (enticing? With a juicy fat worm on a shiny pretty hook) yet another of a long line of promising "Glorious Futures"! All Shiny and Wonderful. That arrived tarnished and doleful. So, onto the next brilliant solution to resolve all the problems left behind by the last few brilliant solutions. As for robot laborers? First it would be more accurate to call Artificial Intelligence, Artificial Stupids. It is very-short sighted to fear the machines. Instead, fear the hungover, insubordinate, disgruntled programmers and fear the shortcuts by unscrupulous manufacturers in cahoots with corrupt politicians. Fear the autonomous activities by clandestine government and military acronyms, since the earliest circuit boards. To add secretive back-doors to the programming and covert monitoring circuitry. Since Human Life is cheap. Self-replicating if not always self-repairing. Why would any proprietary authority risk expensive, fragile robots? The First Law of Ecology is, nothing ever goes away.
. It is very-short sighted to fear the machines. Our best and brightest minds tell us to fear AI. Elon Trump calls AI "a demon in the bottle". Steven Hawkings was of like mind. It's only our not quite so bright minds that tell us there is nothing to worry about with AI. Heck, even dogs know enough to look to the smartest dog in the pack for guidance. Very poetic but you forgot to take into account Genetic manipulation, which will soon be here. Using genetic manipulation we will be able to do anything a computer/robot can do albeit slower. And the one thing that no one mentions is we will be able to enhance everyone's IQ with a single shot or perhaps a pill. When I talk enhancement I am talking about a 100 fold increase. No one can fathom what we will be like with that kind of a IQ. Even your poem will be meaningless once we reach that level. I realize that. And if men were meant to fly they would have wings. And if he were meant to travel over land faster than a horse he would grow wheels. etc. I agree with you @rderkis that we could genetically modify ourselves out of this, but it brings up two things in my mind. One is if you genetically modify yourself to be smart with a high IQ, how is that going to stop the extinction if the extinction was obvious to a very low IQ person generations earlier and trivial to solve? The second question Is how long do you think it will take to create this Frankenstein like brainiac by your DNA super hacks? one generation, two generations, 15 Generations? No, the only solution to the AGW issue is to deal with it now. That means getting politically active and voting out people that do not believe in global warming in replacing them with people that will actually do something about it! Scientific studies by our greatest scientists and a lot of ordinary people, indicate that in 20 years we will know 1,048,576 times what we know now. The initial study was done by Ray Kurzweil (Check his credentials on wikipedia). The results were so mind blowing a lot of people wanted to make a name for themselves and prove he was wrong. No one came up with results that were much different then his. Technological growth was tracked from the time of Christ to the present. That means that the error rate for 20 year projection would be 20 year projection / 2000 year study = 0.01% error rate. Yes, I see what you are saying @rderkis, and I like your optimism about the situation, but there is such a thing as irrational exuberance which I think is displayed by your assumption that things will be okay in 20 years. A logical, deductive, reasoning mind is a wonderful tool for Improvement of Mankind's control over his environment. But don't you think it's dumb on our part to ignore potential Extinction events like climate change that is currently right here and right now? Or what about the possibility of nuclear annihilation? Those are two very serious questions that reason should be able to resolve. Now! As I was saying, it shouldn't take genetic modifications to develop a human that can resolve those problems in some futuristic sci-fi story. No, we can solve those problems with debate and action, a dialogue in action, and obviously science and engineering which will ultimately fix these issues to mankind's best ability. Did you forget a asteroid strike, a unprecedented solar eruption, yellowstone super eruption, emerging biological outbreak, alien attack, AI and on and on and on. As far as the study goes there was no appreciable variation in the technological growth rate in the last 2000 years during war, black plague, dark ages etc.So yes, pessimist something could happen in the next 20 years that would disrupt that growth but at the rate of growth it had better happen in the next 10 years. As far as howhot3, he obviously has no use for scientific studies or logic.We are talking 20 years to overcome any problems we can conceive of now. rderkis, I want to see the look on your wife's face when you tell her that her womb is now to be a public laboratory. Her children to be experimental subjects of unproven genetic engineering. howhot3, you are being rational & reasonable. Therefore the rest of the Human Race will hate you! We cannot even control our instincts honed by tens of millions of years of monkey survival. There are two types of "Big Brain" intelligence. Previously, mostly lacking in manipulative appendages, they have been trapped in the "Whale Dream". Unable to take the next step beyond proto-sophont. Then came the Primates & Simians. Our Homindea ancestors resulted in the Modern Humans, Homo Anthropophagus. Living up to our descriptive name? We have effectively slaughtered the proto-sophonts and are doing our best to destroy the rest of the Biosphere. mwillsj, wake up and smell the roses. I am being a realist based on sound research, while you are being a pessimist based on what will soon be our ancestors predisposition for violence based on a average IQ of 100 not our new soon to be IQ of ~1000. The great thing about it is when your IQ is enhanced you will see things in an entirely different light. You can deny that now but that is like a ant denying he could ever fly to outer space if he were to become a man. Well, when you attain the status of "Man"? Send postcards! And if you insist on deluding yourself that a high IQ is the same as Wisdom? How smart were the braintrust that developed the atomic bombs? For amusement how did they compare to the average intelligence of the US political and military leaders who made the decision and gave the orders to use those bombs? Seems an excellent example of how "Smart" is constantly confounded by "Clever". Or as I have opinionated before. "It takes the smartest of people to commit the stupidest of errors." Wow, when you get really smart it will be a BIG change! Example of stupidity "It takes the smartest of people to commit the stupidest of errors." Obviously a great amount of research went into that statement. Nah, I know from rueful experience that as "Smart" as all you other commentators make me look? I am, at best, barely above average in intelligence. My only real talent has been as a voracious reader all my life. (talent or skill?) I am smart enough to recognize and acknowledge "Wisdom". Even if I fail to attain such a high standard of excellence. I am also "Smart" enough to recognize the cult of stupidity and cupidity that afflicts the Phys.org site. Well rderkis, that will never be attained with you as the example. rrwillsj, it does not matter where you get it. Real self objectivity is REAL wisdom and you can't have that without some intelligence. I doubt a tree thinks about self objectivity. Science has once again caused a gross misunderstanding of life by drawing lines between evolving organisms. is it really correct to assume that my ancestors went extinct? They created me and because I'm alive they never really went extinct. If it is true to consider the older forms of my ancestry as extinct organisms then every human that existed before me had a slightly less evolved DNA and thus are all extinct. But if every human died and left no other form of animal to carry on then you call that an extinction of that line of great apes. However our ancestors also created chimps so in a way our ancestors would still be here. I find these blind spots in logic quite often and I would truly suggest looking beyond the words we use in science. God literally means the creator right? And surprisingly to most of you...science has actually proven that one very specific thing created Earth and Life. I agree with you. Example "The Nethanderthal never went extinct because we carry their DNA in us. As far as Quote sassifras69 "science has actually proven that one very specific thing created Earth and Life", the bible says it best "Hear now this, O foolish people, and without understanding; which have eyes, and see not; which have ears, and hear not:"